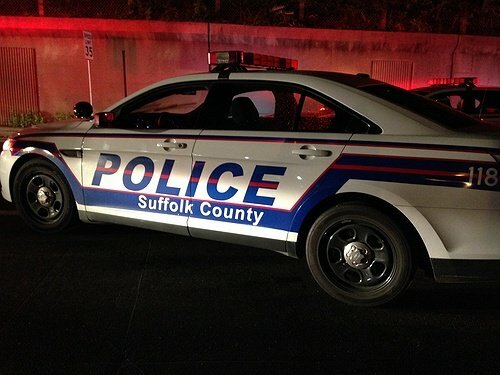 Suffolk County Police Third Squad detectives are investigating a crash that killed a pedestrian in Brentwood this morning. Brentwood, NY - October 21st, 2015 - Suffolk County Police Third Squad detectives are investigating a crash that killed a pedestrian in Brentwood this morning. A man was walking on Wicks Road when he was struck by a 2010 Dodge Ram pickup truck that was traveling north on Wicks Road at approximately 5 a.m. The pedestrian, who has yet to be identified, was transported to Southside Hospital in Bay Shore via Brentwood Legion Ambulance where he was pronounced dead. The driver of the pickup, Webster Sainville, 31, of Bay Shore, was not injured. The vehicle was impounded for a safety check and the investigation is continuing. Anyone with information on the crash is asked to contact Third Squad detectives at 631-854-8352. Subject: LongIsland.com - Your Name sent you Article details of "Pedestrian Killed in Motor Vehicle Crash on Wicks Road in Brentwood"